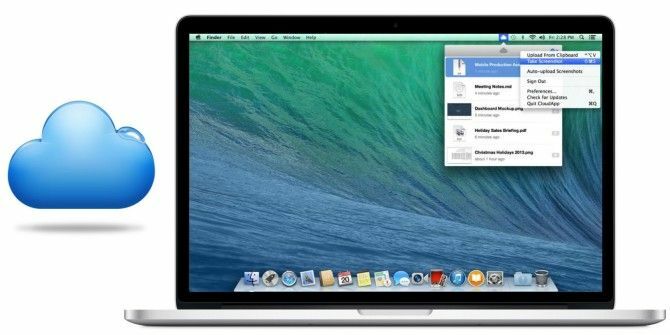 One of the easiest and most stylish ways to share files from a Mac is with CloudApp. It’s a simple little app that sits in OS X’s menu bar, and all you have to do is drag-and-drop files to it to get shareable links. We’ve reviewed it and loved it. Now, CloudApp 2.0 has come with refinements to make it faster and more accessible than before. The one big feature being introduced is ‘Instant Drops’. With this, when you upload a file to CloudApp, you immediately get a link for it, which is automatically copied to your clipboard—you no longer have to wait for the upload to finish. You’re free to share the link immediately. For most small files, by the time you’ve switched to the application to share the link, the upload is done. For larger files, go ahead and share the link immediately. The recipient will see a waiting message that, when the upload has finished, will show them the content you’ve shared. CloudApp 2.0 also introduces new keyboard shortcuts, along with a custom screenshot shortcut (Command+Shift+5). This automatically takes a screenshot and creates a link for it with CloudApp. A lot of users preferred Droplr for screenshots, but recently, Droplr announced that it would be going paid-only; and as we have noted before, CloudApp is the better menubar sharing choice. The Menu Bar Popover has also been redesigned to make its features more accessible. It now shows thumbnails of uploads and an infinite scroll history of Drops. Right-clicking a Drop also shows you its direct link, a download link, and sharing options. CloudApp 2.0 is still a Mac-only app that can be downloaded from the Mac App Store, with more information available on its official website. If you’re on Windows, FluffyApp FluffyApp, A Painless Drag-&-Drop File Uploader [Windows] FluffyApp, A Painless Drag-&-Drop File Uploader [Windows] Read More is a good solution. Explore more about: Cloud Storage, Mac App Store.